masnasih.com - Are you looking for articles about How to be a good student? 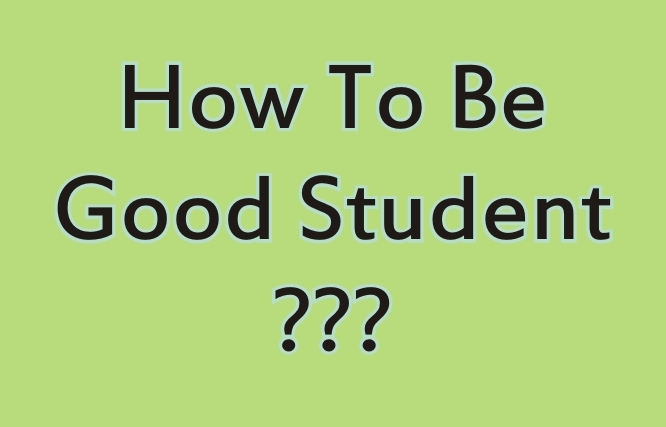 If you are looking for this article, then you will not misread the article, because in this article I will share how to be a good student. Both in terms of behavior and good in terms of value, and also good when seen by others. Just go ahead and see the discussion below. How to be good student? Here I will convey 5 tips for being a good student. you have to read this. Good students always ask when given the opportunity by their teacher to ask questions. This is one way to respect the teacher. A teacher knows that students who ask are students who understand the lessons delivered by the teacher. And the teacher will be happy with students who like to ask questions. Read before entering class and after leaving class. Reading is a window to the world. So by reading a student will know, what to do, and what to leave. Which should be asked, and which should not be asked. By reading, a student will understand the lessons delivered by his teacher. Reading before entering class means reading before getting material from the teacher. while reading after leaving class is to re-read the lessons that have been delivered by the teacher. In between breaks, it would be nice for a student to have a discussion with his friend. By discussing it will increase students' insight. Everyone has different knowledge and ideas. So by discussing, a student will know more from his friend, so that his mind becomes open. By discussing, a student will also get input from his friend. Sometimes you have to accept criticism, and sometimes you have to receive praise. this is also one way to find out the weaknesses and strengths of yourself. Sometimes a student must argue to convey his aspirations. But finding a solution is more important than having to look for other people's weaknesses. When there is a problem, always look for solutions. That's the best solution to be a good student. When there are problems with other friends, immediately solve them well. If wrong, immediately apologize. If there are people who violate, then always be patient and forgive. Each task is a fulcrum that is used as a teacher to see the abilities of his students. So by doing all the tasks given by the teacher will make it easier for the teacher to determine the value. Working on assignments is also one way to show that a student is truly serious in learning.